Part of the proceeds from Madd Colors Carnival Inc. will be donated to the family of Makari to assist with his medical bills and elemental diet. 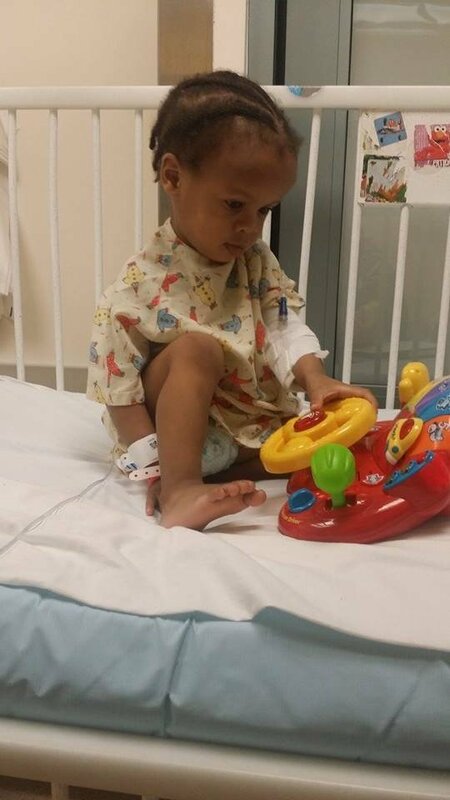 Makari Hilaire is 21 months old, and at such a tender age is diagnosed with EoE (Eosinophilic Esophagitis). We cant take away the pain, but we can help Makari, and other children affected by EoE. Any assistance you can give, in the form of a donation is greatly appreciated, and will go a long way in helping us with this cause. He has been having complications with his health since birth, and had started showing specific tell-tale signs, which included frequent vomiting and diarrhea. He was diagnosed with EoE at 9 months, and had his first feeding tube placement in his nose at 10 months. 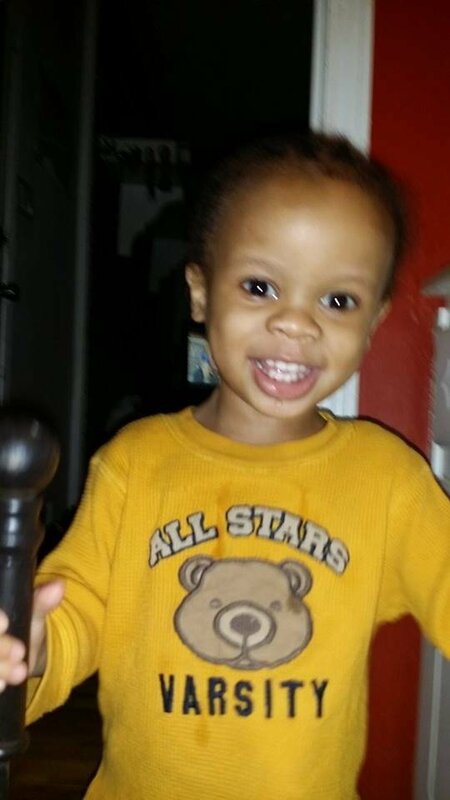 Makari’s then had surgery at 14 months for a feeding tube placement in his stomach. He has had a total of 5 procedures, 3 endoscopy scopes (camera used in the esophagus to look for inflamed white blood cells -eosinophils), and a biopsy done). Living with EoE is very painful for him. Makira accidentally pulled out his feeding tube while playing, and this led to his 5th surgery. Eosinophilic Esophagitis (EoE) is an emerging disease that is increasingly being recognized among pediatricians, internists, allergist, gastroenterologists (GI specialists), and other physicians. It is a condition that affects the esophagus and has been rising in incidence over the past decade. The main EoE symptoms may mimic gastroesophageal reflux disease (GERD) and can vary depending on the age of the child. Food allergies are the main cause of Eosinophilic Esophagitis in children. There are a number of studies that have demonstrated the central role of food allergens in triggering EoE. When these allergenic foods are removed from a person’s diet, EoE symptoms can resolve and the eosinophilic inflammation in the esophagus can be healed. The role of the allergist is to identify underlying food allergies that are triggering EoE by a variety of Allergy tests including blood testing looking for IgE-mediated allergies, skin prick testing, and atopy patch testing to foods. There are also allergy diets restricting the most common food allergens (Six Food Empiric Elimination Diet) which has also been used to treat EoE. Another dietary option which has also been very successful is the Elemental Diet with amino-acid based formulas. Other related symptoms can include cough or chest, throat, or abdominal pain. In general, lower GI symptoms such as diarrhea or bloating are not typically associated with EoE. Special formulas that contain no whole protein (sometimes called “intact protein”), but instead have only the building blocks of protein (called “amino acids”) make up the bulk of the elemental diet. The formula also contains carbohydrates, fats, vitamins, and minerals. All natural foods contain some protein, and when on an elemental diet, you must avoid these foods. Depending on your physician’s or registered dietitian’s advice, you sometimes can consume sugar, artificial flavors, and oil, as well as cotton candy, certain lollipops, and certain freezer pops as snacks. The elemental diet generally is a temporary diet, used for a long enough period to allow the body to heal before reintroducing solid food slowly. Often times diseases such as this go unnoticed. Makari’s mom has a remarkable sense of strength. We have seen her several times over the past few years and never knew of Makari’s struggles nor hers as mother who is unable to keep full time employment due to his frequent hospital stays. This struggle also prevents her from being able to always provide this special diet for Makari which costs from $40 to $60 per bottle. Her humbleness and ambition to spread awareness of EoE has given Madd Colors a reason to get involved. There are other children in the world affected by EoE. Our mission is to grow as a mas band spreading cultural awareness while supporting and helping children affected by this disease.